In compliance with the contents and obligations of Law 34/2.002, 11 july, e proceed to record our identification data: LIBEIN SISTEMAS S.L. 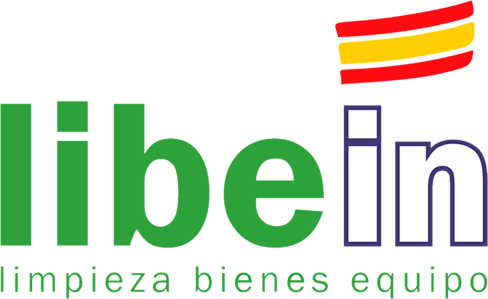 with CIF: B74368481 is the ownership of this website (www.libein.es). LIBEIN SISTEMAS S.L. its a company that works in the area in cleaning and sanitising all types of industrial structures and components. The source code, graphic designs, images, photographs, sounds, animations, software, texts, as well as information and ultimately the elements contained in the website are protected by Spanish legislation on intellectual property rights in favor of of LIBEIN SISTEMAS SL, being forbidden its use for commercial purposes and consequently not being allowed the reproduction and / or publication, total or partial, nor its computer processing, distribution, diffusion, modification, transformation or decompilation, etc., without the permission prior and in writing from the owner. The user can only use the material that appears on this Web page for personal and private use, being prohibited its use for commercial purposes or to engage in illicit activities. All rights derived from intellectual property are expressly reserved by LIBEIN SISTEMAS S.L. LIBEIN SISTEMAS S.L. will watch over the compliance of the above conditions as well as the proper use of the contents presented in its web pages, exercising all civil and criminal actions that correspond to it in the case of infringement or breach of these rights by the user. In accordance with the provisions of the Organic Law 15/1999, of December 13, on the Protection of Personal Data and the General Regulation on Data Protection of the European Parliament and Council, 2016-16, it is reported that certain areas of the Web request the user a series of personal data that are incorporated into the files created and maintained under the responsibility of LIBEIN SISTEMAS SL with registered domicile, files registered in the Spanish Agency for Data Protection and whose purpose is to manage, as a community of goods, all the activities necessary for the development of their care activity, development of studies and statistics to draw up a profile of the needs of the visitors of its Web page, being the fields requested in each form of obligatory fulfillment for the access to the information and / or contents of the respective areas that request it. These data are provided by the user who is responsible for their veracity and assumes the consent for the processing of data for the purposes indicated and specific to each file. Said data will also be treated in accordance with the preventions imposed in Organic Law 15/1999, of December 13, Protection of Personal Data and General Regulation 2016/679 of Data Protection of the European Parliament and the Council in favor of the interested party and except for the cession of the same to the authorities when required by law, said data will not be transferred or communicated without the prior consent of the interested party, who may access said file, in order to obtain information, rectify it , cancel it or oppose it by contacting LIBEIN SISTEMAS SL at the following address POLÍGONO LA MORAL. PARCEL 3. 33935 -LANGREO – ASTURIAS by postal mail accompanying a photocopy of your ID or by digitally signed email to the object of accrediting your identity addressed to info@libein.com. LIBEIN SISTEMAS S.L. has adopted the technical and organizational measures in accordance with the provisions of current legislation, Real Decreto 1.720/2.007, de 21 december, which approves the Regulations for the development of the Organic Law on Data Protection and Regulation 2.016 / 679 General of Data Protection of the European Parliament and of the Council, with the security levels being adequate to the data provided and, in addition, all the technical means and measures at their disposal have been installed to avoid loss, misuse, alteration and unauthorized access to the data you provide us. LIBEIN SISTEMAS S.L. is not responsible for any loss, direct or indirect, as a result of decisions made based on the information displayed on the website of its ownership, given that, as well as the same, as well as its contents may be varied, modified and / or deleted at any time without legal need for prior notice. Likewise, it is not responsible for the possible damages that could be derived from interferences, omissions, interruptions, computer viruses, telephone breakdowns or disconnections in the operative operation of the electronic or computer systems, motivated by causes beyond the holder of this web page. , of the delays or blockages in the use of said systems caused by deficiencies or overloads of telephone lines, overloads in the Internet system, or in other electronic systems. LIBEIN SISTEMAS S.L. is not responsible for the breach of any applicable rule that may be incurred by the user in their access to this website. Neither is responsible for the illegitimate use that third parties may make of the brand names, product names, trademarks that, not being property of said entity, appear on this Website. We have links and connections with other places and Web pages without that we can answer for the quality, accuracy and veracity of the contents of the same so it is not responsible for any loss, direct or indirect, as a result of adopted decisions based on the information inserted in the aforementioned page. 6.- Ads, marketing and commercial communications. LIBEIN SISTEMAS S.L. You agree not to use this website to make misleading advertising. Advertising will not be taken into account to deceive the formal or numerical errors that will be found in the different sections of the Web page caused as maintenance or incomplete or defective updates. As a result of the above, LIBEIN SISTEMAS S.L. You agree to correct as soon as you become aware of such errors. LIBEIN SISTEMAS S.L. You agree not to send commercial communications. For these purposes, the commercial communication will not take into account all the information that is sent to the clients of LIBEIN SISTEMAS S.L. when you have the purpose, maintenance, relationship, contract, employment, development, information activities, training and any other part, the service that the client has contract with the company. To the fullest extent permitted by law, you hereby expressly agree that any proceedings arising out of or relating to your use of the web site, its information, services and content shall be subject to the laws of Spain. The courts in Oviedo (Spain) shall have exclusive jurisdiction.8.- Cookies. When the recipient of a service of the information society navigates through the Web page, the server where it is hosted automatically recognizes the IP address of the computer, the day and time the visit begins, as well as the different sections visited from the computer. the website. All this information is necessary to be able to communicate and send you the information requested and that can be viewed through your computer. For more information about cookies on the website you can visit the Cookies Policy.